Migration to New Zealand has reached an all time high and exceeded the governments expectations which has been encouraged by students arriving from India to study and Kiwis returning home from Australia. 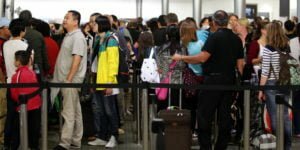 Over the past year New Zealand gained 45,400 migrants and the Reserve Bank is estimating that 50,000 people will be added to the labour market over the next year. India has also overtaken China as the third largest source of long term arrivals with the UK in second and Australia contributing the largest number of long term arrivals, however Kiwi’s returning home are included in those figures so does not accurately reflect the number of Australian citizens who are settling in New Zealand. More and more migrants are choosing New Zealand to call home. If you are interested in moving to New Zealand. Get in touch with us today.